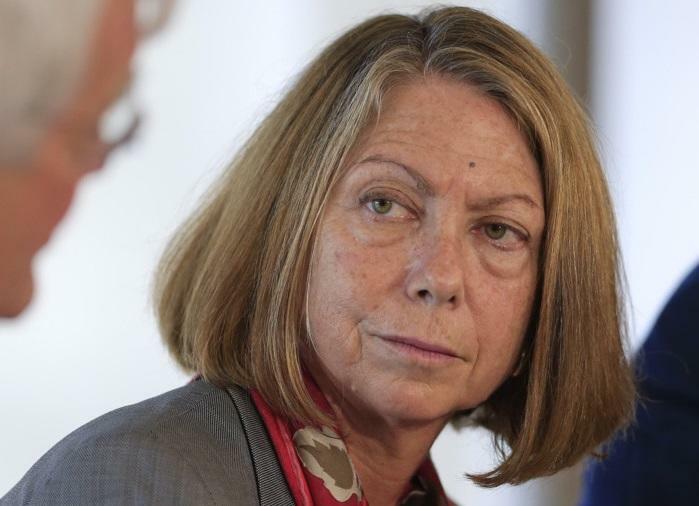 Former New York Times executive editor Jill Abramson has been accused of plagiarizing massive sections of her new book on ethical journalism, Merchants of Truth: The Business of News and the Fight for Facts. Citing examples from just three chapters, VICE correspondent Michael Moynihan noted several passages from the book which Abrams copied - or slightly changed - without properly attributing the authors. Abramson rejected the claims, telling Fox News "I certainly didn't plagiarize in my book. There are 70 pages of footnotes showing where I got the information." In a 2008 Slate article, Abramson - then TIME's executive editor said: "I think when you take material almost word-for-word and don’t credit it, it is [plagiarism]." After initially claiming the criticism was nothing more than sour grapes by VICE, Abramson said later on Twitter: "I endeavored to accurately and properly give attribution to the hundreds of sources that were part of my research," adding "I take seriously the issues raised and will review the passages in question." The book's publisher, Simon & Schuster, wrote that Abramson's book bad given "an extraordinary degree of transparency toward its subjects; each of the four news organizations covered in the book was given ample time and opportunity to comment on the content, and where appropriate the author made changes and corrections. If upon further examination changes or attributions are deemed necessary we stand ready to work with the author in making those revisions." Perhaps the plagiarism can be attributed to John Stillman - a freelance journalist who Abramson credits with research, reporting and writing. As noted by Variety's Erin Nyren, Abramson has come under recent fire for an interview with The Cut in which she admits that she doesn't record interviews - instead relying on her "almost photographic memory." "I do not record," said Abramson. "I’ve never recorded. I’m a very fast note-taker. When someone kind of says the ‘it’ thing that I have really wanted, I don’t start scribbling right away. I have an almost photographic memory and so I wait a beat or two while they’re onto something else, and then I write down the previous thing they said. Because you don’t want your subject to get nervous about what they just said."